This summer it was announced that Stormzy would be launching his own publishing house, #Merky Books, as a subsidiary of Penguin that would be a platform for young and aspiring writers who might be otherwise overlooked by the publishing industry. The first book still looks to be one from Stormzy himself, entitled Rise Up: The #Merky Journey So Far, but now we've got news of the second book. 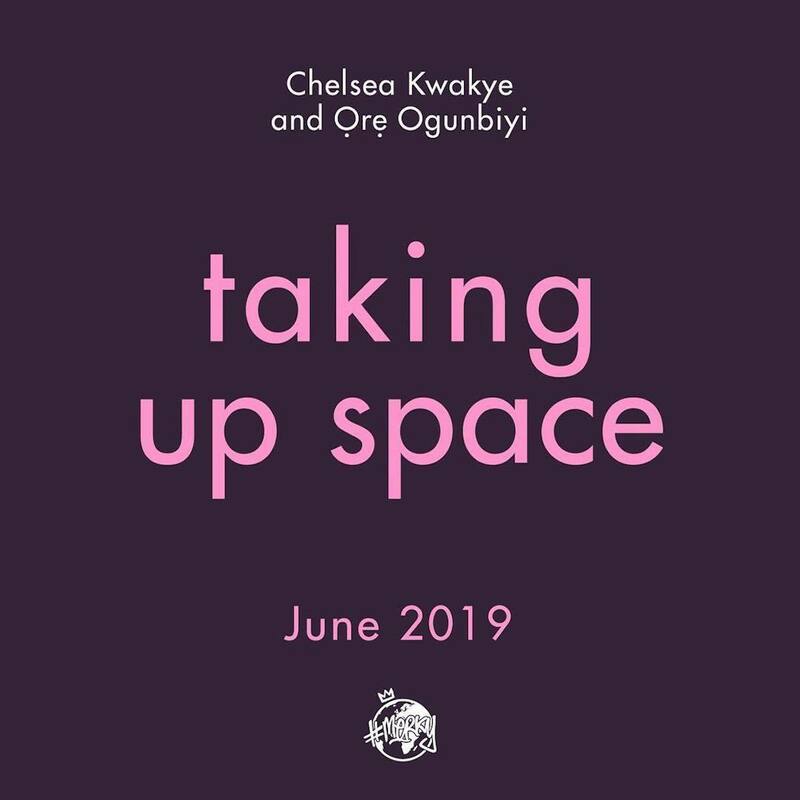 Taking Up Space, released June 2019, will be that book and it's going to take a look at diversity in the education system and how it affects POC students. Authors Ore Ogunbiyi and Chelsea Kwakye have a combined age of just 42, but their collective list of accomplishments makes for impressive reading. Ogunbiyi grew up in England and Nigeria before attending Jesus College at Cambridge University, and is now studying for a Master's in Journalism at Columbia University, New York. She's been involved in and responsible for Benin Bronze repatriation campaign, the #BlackMenofCambridgeUniversity campaign and was also President of the university's African-Caribbean Society 17/18. Kwakye, meanwhile, grew up in North London before winning a place at Cambridge University. However, she quickly found she was the only black girl in her year group studying history, an experience that seems to have informed this book to some degree. According to the book's Insta page, the book "aims to shine a light on the university experience, preparing a new generation for the struggles inherent within the education system, and expanding a conversation on a subject of universal importance. "As a minority in a predominantly white space, to take up space is itself an act of resistance. To constantly feel the need to justify your existence and make the best of an institution that wasn't made for you is an ongoing struggle for many people in higher education." Pre-order Taking Up Space here. ‘Taking Up Space’ is a guide and a manifesto for change: tackling the challenges of access, unrepresentative curriculums, discrimination in the classroom, the problems of activism and life before and after university. As a minority in a predominantly white space, to take up space is itself an act of resistance. To constantly feel the need to justify your existence and make the best of an institution that wasn’t made for you is an ongoing struggle for many people in higher education. ‘Taking Up Space’ aims to shine a light on the university experience, preparing a new generation for the struggles inherent within the education system, and expanding a conversation on a subject of universal importance.